Floral themed and garden party weddings will glow when you add these glass candle holders to the mix (tealight candles are not included). 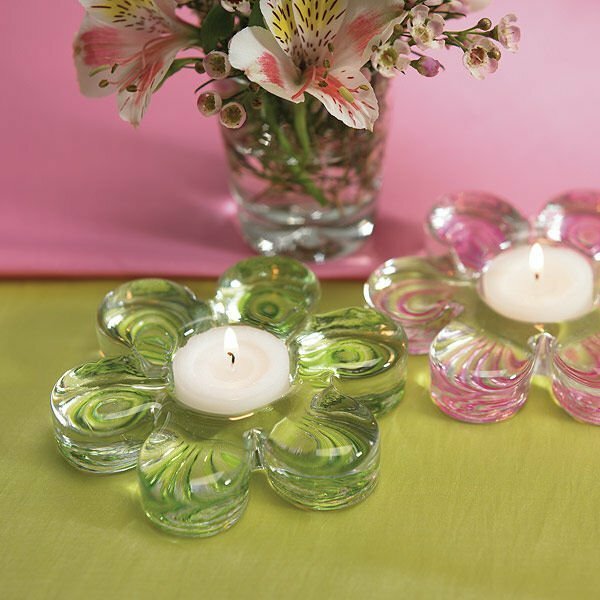 Available with either pink or green highlights, these glass holders make great garden flower wedding favors too! 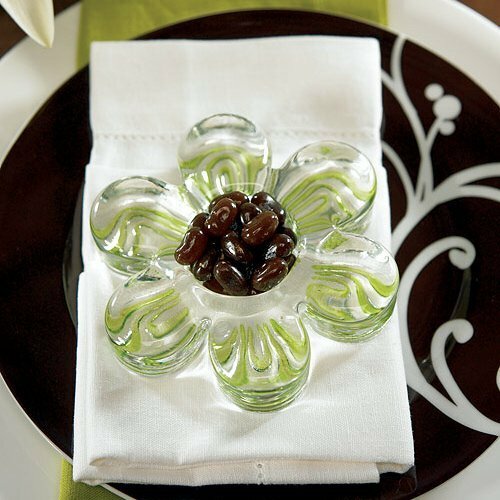 Another idea is to fill them with candy or chocolates instead of the standard candles. Sold in sets of 2. Product dimensions - 4 3/4" Diameter.